As a CERTIFIED FINANCIAL PLANNER™ practitioner, Michael employs a holistic wealth management approach. He designs and implements strategies that are custom-tailored for his clients’ individual needs and objectives. The majority of Michael’s clients are successful professionals, small business owners or recent retirees. Michael is also a accomplished presenter and provides financial education and retirement planning workshops to several corporations and universities in the Baltimore/Washington DC area. 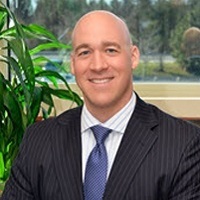 Michael joined Tide Creek (formally The Havlik & Varlotta Group, An Office of MetLife) in the spring of 2003 after beginning his career as a financial planner with Waddell and Reed. A graduate of Salisbury University, Michael studied finance and economics. Over the years, Michael has taken great pride in helping every individual, family and business client make smart financial decisions. When not helping clients with financial matters, Michael enjoys nearly any type of outdoor activity and resides in Gambrills, MD with his wife.